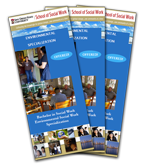 The Community Corrections Case Management Specialization was developed to give interested undergraduate social work students an opportunity to develop specific knowledge and skills in the area of forensic social work. In this specialty, students take their 3 electives in a choice of Criminal Justice Department courses (in lieu of social work electives) and they are placed in criminal justice settings such as San Diego Probation or SB618 Case Management Program among others, for their field internship (SW489A/SW489B) in their senior year. The specialty is limited to 10 students/year.  Special application including a one page essay regarding interest in the corrections field and a recent grade audit transcript (a 3.0 GPA is required) are to be submitted in students’ junior year to Jennifer Cosio, MSW, PPSC. A minimum of nine units in the criminal justice major in lieu of social work electives. Required courses are Criminal Justice 300, and two of the following: Africana Studies 380, Criminal Justice 330, 431, 531, or 543. Students in this specialization will also be assigned to a criminal justice setting for their social work field practicum: Social Work 489A-489B (8 units). The Environmental Social Work Specialization is for pioneering students who are interested in working at the community level regarding environmental justice or equal access to clean air and water and decision-making regarding the living environment. The Specialization allows students to gain knowledge and skills regarding environmental issues, community outreach and organizing, and advocacy. In this program, students take two of their social work electives in the Sustainability major and a third elective on community organizing in the School of Social Work which give practical, hands-on experience. Students are also placed in a community-based environmental agency for their field internships (SW489A/SW489B) in their senior year. The specialization is limited to 3-5 students a year and students must be fluent in Spanish. Special application including a one page essay regarding interest in this new area of social work practice and a recent grade audit (a 3.0 GPA is required) are to be submitted in the students’ junior year to Jennifer Cosio, MSW, PPSC. A minimum of 6 units in the Sustainability major in lieu of social work electives. Required courses are SUSTN353, SUSTN334, HIST441, or PHIL332. Students in this specialization are also assigned to an environmental agency for their social work field practicum: SW489A/SW489B (8 units).